Everyone dreads the stocktake. It's a slow and manual process to count your stock and get the data input and verified. For the last twenty years or so you could use a batch mobile hand held device to scan the barcode and key in the count downloading the data in batches every few hours. While this is an improvement over pen and paper there is an even better way to capture your stocktake data. Barcode Datalink has developed 'StockTakes Online'. An online SaaS (Software As A Service) solution that combines Motorola RF mobile computers in real time to a secure online SQL database. View reports via a web browser in real time while your stock is being counted. See who is counting and who is taking it easy. See running totals and watch the variance report as your staff scan their way around the warehouse. See which bin locations haven't been checked yet. Read more....click the STO logo. Watch this video to see how easy RF barcode scanners can make capturing your stocktake data. Don't have your own mobile computers or barcode scanners? Don't worry - Barcode Datalink has over 100 mobile computers available for rental. Click here for Rentals. Do you want a simple way to know where your inventory is within your warehouse and be able to scan goods in and out in real time? Would you like to be able to print pallet or product labels with a Zebra mobile printer wirelessly from your hand held mobile computer? 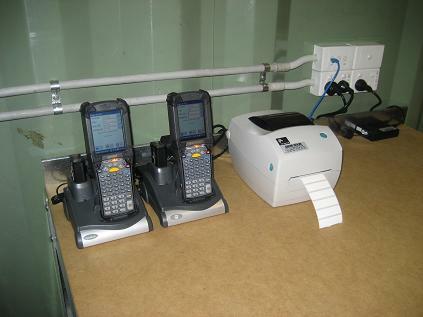 ScanTrack Systems gives you the power to make a Motorola mobile computer and a Zebra mobile barcode label printer useful tools within your warehouse. Staff are more productive since they can label incoming goods as they receive them without having to walk backwards and forwards to the office for labels. Learn more - click on the STS logo. Do you have sales reps filling in paper forms and faxing them back to head office for processing? There is a smarter way. 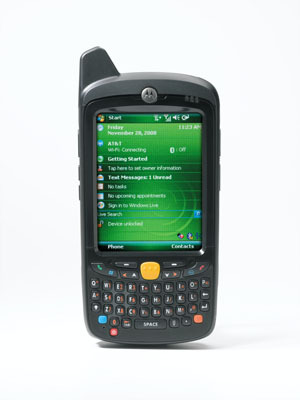 Using Motorola mobile computers with mobile phone functionality (including GPRS) you can now send and receive data in real time. It's fast, efficient and will make your sales representatives more efficient and they'll love you since they won't be bringing work home after a long day. Click on the MC55 to read more about this SaaS solution. Using a wireless mobile computer the operator scans the coil into stock. 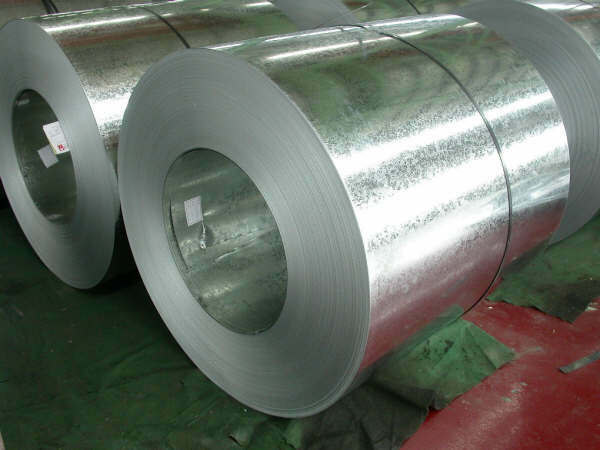 As coils are taken from bin locations to be used to make new products, the coil is scanned out. For more detailed information click on the link below.